Last year, Bryce Menzies set a new world record for the longest off-road truck jump using a modified 900-horsepower Pro2 truck. The resulting 379.4-foot jump not only smashed the old record—it also looked ridiculously cool. Now you can poke around the footage of that jump captured with a 360-degree camera. 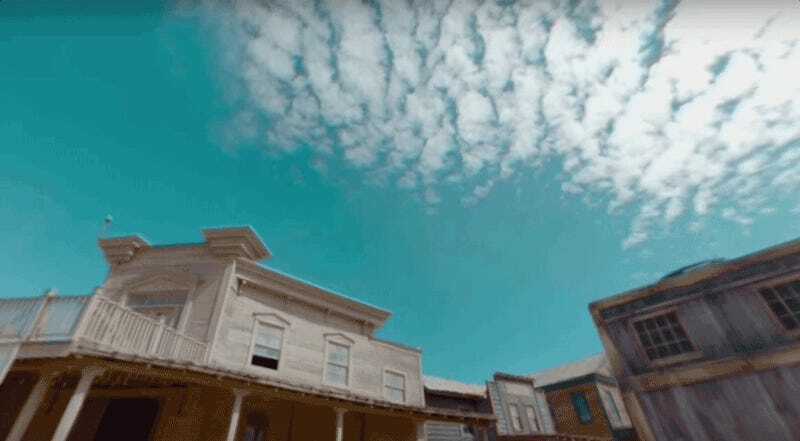 Indulge in a few glorious slow-mos of the truck flying over the “ghost town” set. I can spend way too much time with these looking at every conceivable angle of something, but I’ll leave it up to you to figure out your favorite view. While this jump was successful, Menzies actually broke his shoulder on an attempt to smash his newly set 379.4-foot record. Ouch. Still, getting a record and trying to achieve an even crazier jump right afterwards is the kind of insanity I can appreciate.